Great facility with a beautiful interior. The studio apartments are extremely small. The apartments resemble either a small hotel room or a college dormitory. Staff members are extremely accommodating and nice. They had a personal relationship with each resident. There are weekly outings for residents to engage in the community, including dinner outings and movies. The price of the facility is extremely expensive and may be problematic for those on a budget. The facility does not offer many variety of activities just the basics. The best way to get to know a community is by scheduling a tour. 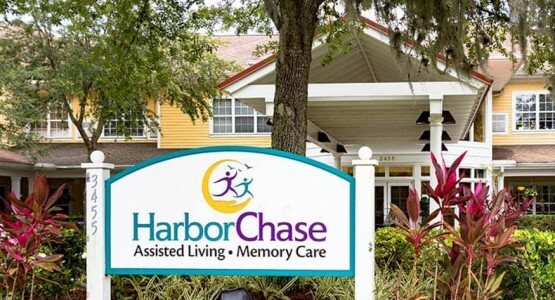 See the facilities, meet the staff and residents, and get a feel first hand what it's like to live at HarborChase of Jacksonville Assisted Living. A beautiful community setting where first-class healthcare services are provided by highly trained staff is the best way to describe HarborChase of Jacksonville. Our community is designed to have all the amenities and services seniors need so they may live worry-free lives. This is especially appreciated by families who want to see their loved one enjoying all the pleasures that life still has to offer. A unique approach to assisted living that is guided by the core values of Respect, Attentiveness, Integrity, Stewardship and Excellence is what sets HarborChase of Jacksonville and the communities managed by Harbor Retirement Associates apart from others. Every day we strive to celebrate the seniors who proudly call our communities home. Spacious apartments, a spa, hobby rooms and an elegant dining room are just a few of the amenities that our residents boast about when describing their new home to friends. Families also appreciate that HarborChase of Jacksonville has a state-of-the-art wellness center so their loved one can access healthcare services when needed. Our apartments are available in private or companion suite layouts. Most of the suites include the convenience of a kitchenette, walk-in closets and an emergency call system. But residents aren't often in their apartments, as there is too much going on around the community. Our activities director plans life enrichment activities that have our residents learning ceramics, playing bingo or playing against neighbors in a friendly pool tournament. When your loved one joins our community, no longer are life's responsibilities a concern. Our talented culinary team prepares delicious meals that are served restaurant-style in the community dining room, and the housekeeping staff handles cleaning the apartments and doing laundry. Scheduled transportation is also provided for medical appointments and errands. Yet the services that families are grateful for are the supportive services which support their loved one's independence. Our compassionate, highly trained caregivers provide assistance with activities of daily living and medication management. And when memory care is needed, in cases of Alzheimer's or dementia, we can provide this care too. HarborChase of Jacksonville: where compassionate care and respect are delivered every day.